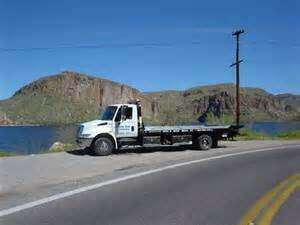 I had a most decent experience with a towing company. I am totally impressed. Me: “Do you have a secondary company”? Me: Duhhhh. “Send them, please’. Anyway, the guy shows up and says that GEICO only pays for a tow to the nearest repair facility. (I am 15 miles from home) Nearest repair facility is 4 miles away. He says that he can tow it to my preferred repair shop for $48 more. So I say, just do it. When we get there, he says “Do you need a ride home”. Me: “Yes, I would really appreciate that”. We get there and he says “Your bill is $34”. He says: “You seem like an everyday guy and did not give me a hard time about anything. I like that. So I discounted your rate”. Bottom Line: Be nice to everyone who helps you. Even if you are not happy.